EGGcellent turnout on Easter Sunday! 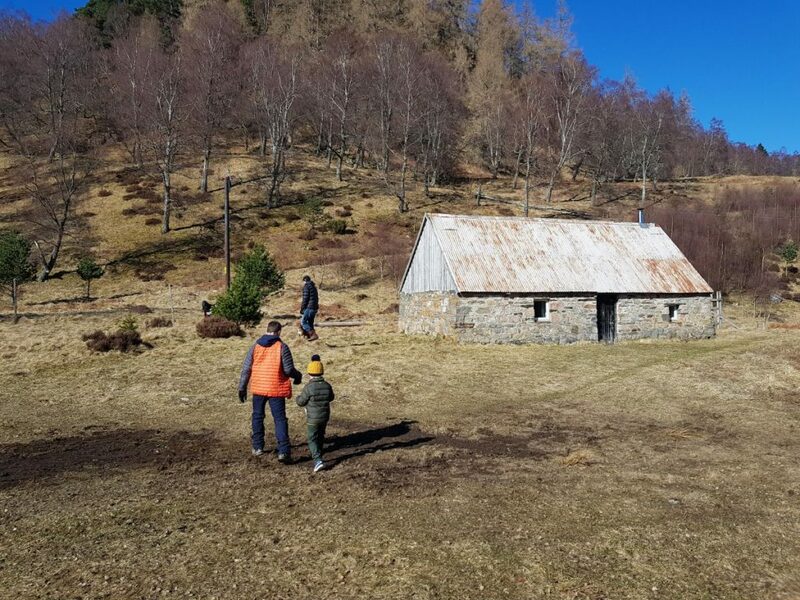 As I write this from inside the Rangers’ Hut, with hail falling outside, it’s hard to believe that not 24 hours ago we were hunting for Easter Eggs in the warmth of the Spring sunshine at Loch an Eilein. 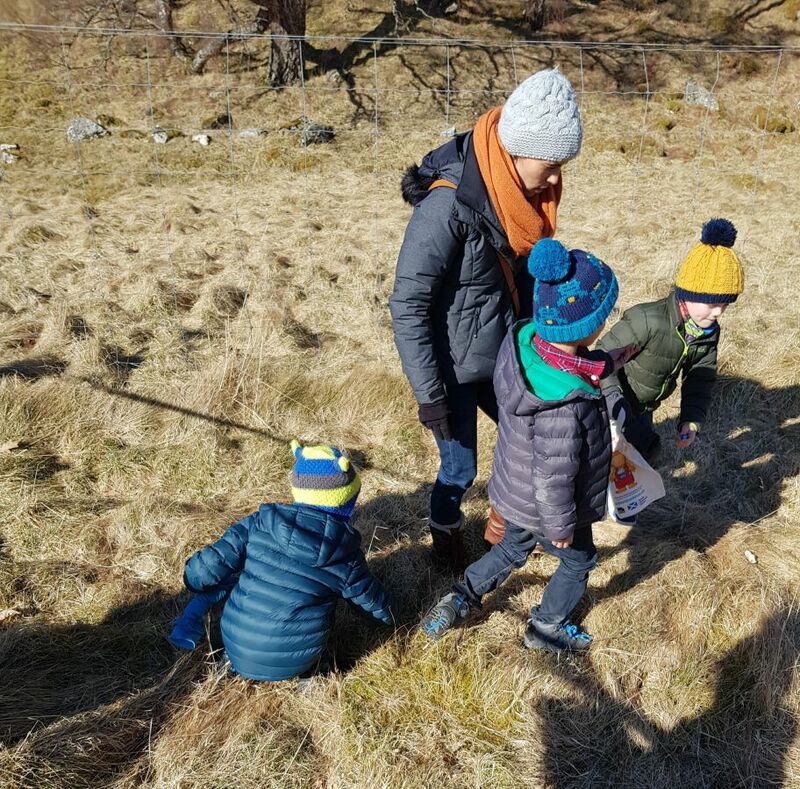 Not that hail would stand in the way of children (or indeed adults) and their quest for chocolatey goodness amongst the heather and the grass. With two sessions running – one in the morning and one in the afternoon – the Ranger Van was fully loaded up with eggs (minus one or two that had been ‘sampled’ by the staff to ensure they were edible…) and Alph and myself set off for the Loch early in the morning to scatter them around the place. Soon the starting point was crammed with eager young faces, raring to go, fuelled by the promise of a chocolate breakfast that for once was allowed. There was an excellent turnout, with around 50 youngsters (and a few not-so-youngsters) raring to get hunting in the morning sun. Some were fully prepared with baskets, buckets, gps devices and metal detectors, whilst others brought sniffer dogs or indeed relied on the keen sense of smell of their youngest offspring. Nothing has the nose for chocolate quite like the hungry 5 year old child. Some 400 eggs were scattered and all were found or eaten within about 20 minutes of the first start – a very impressive effort. Alph and I opened the second stash of eggs and began to scatter them again for the afternoon session, attempting this time to hide some in more unusual nooks and crannies – indeed, for anyone interested, there is a definitely one crème egg buried in some heather that remains unfound by anyone, Alph and myself included. The sun came out just in time for the afternoon crowds who had gathered, in greater number than in the morning (and I didn’t see too many repeat chocaholic customers from the earlier session), and soon they too were off scouring the grounds in search of milk chocolate treasure. The air was filled with the happy screams of children with pockets and mouths full of chocolate, although the loudest triumphant cry came from a parent who’s child gave them their crème egg. Ultimately, the area was stripped bare of all treats within about 20 minutes and the crowds skipped off home to feast, happy with their Easter haul. Same again next year, Easter Bunny.